The first thing you might ask about ECU remapping is, well, what is it? With all the mod cons at our disposal in this day and age, it can often be difficult to choose which are worth investing your hard-earned money in, so it’s important to have a clear idea of exactly what you are purchasing before you do so. In the majority of modern vehicles, you will find an Engine Control Unit, commonly known as the ECU. As you may have gathered from the name, it’s a small computer unit that controls how the engine works. Due to the diversity of rules, regulations, climates and other variables, the manufacturers ensure the software is reset before it is sent out to the dealership. ECU remapping London is essentially modifying the default software in order to optimise the performance of your vehicle’s engine. As a result, driving your vehicle will be a much higher-octane experience. Your engine’s response, as well as its power delivery, will be markedly improved – and this is before you even consider the thrills you can obtain through ECU mapping’s positive effect on your car’s acceleration. At GAD Tuning , our London and Essex engine remapping service is one of the most comprehensive available on the market. No matter how glamourous the model, we have an experienced team who are committed to improving the performance of your car. From Aston Martin and Audi remapping to Mercedes and BMW remapping, our ECU remapping in Essex and London will help your car unlock that extra gear. Regardless of your stock power, GAD Tuning Ltd can develop and improve on the manufacturers power output and to a range of specifications/products you may require. Our Dyno Developments Precision 2WD system has a very advanced system using an Eddy brake which allows us to use an Intelligent Adaptive load control and will hold load perfectly every time. ECU remapping is a short-term investment built for long-term gain. At GAD Tuning, we specialise in the enhancement of high-end, high-performance brands and models so as to guarantee they are reaching their full potential when you are on the road. Whether it’s a Mercedes, BMW or Audi, or even a Porsche, Ferrari or Bentley, our vehicle tuning service will help maintain the quality of motoring that your vehicle already embodies. That feeling of knowing your engine is running at the pinnacle of its powers is one that is rarely rivaled, and with engine remapping Essex you can guarantee that will be the case every time you set foot in your supercar. What makes us stand out from our competitors? Our in-house team ensure each and every development is tailored specifically to the requirements of your vehicle thanks to our cutting-edge technology. The state-of-the-art communications equipment we have here at GAD Tuning mean that our London ECU remapping services can be carried out to the highest standard. Many companies will simply remove the maps and then install generic software that prevents you from accessing the full benefits ECU remapping Essex can offer, meaning your Lamborghini or Bugatti may never fulfill its full potential. Here at GAD Tuning the customer comfort and satisfaction is paramount! So when we initially planned our workshop refurbishment the first thing we did before we even started construction of our dyno cell was to increase the size of the waiting room. We not only improved the size we also added more seating, larger kitchen, improved complimentary refreshments, opened up for more natural light, 458 Challenge wheel table, Large 50” 4k HDR TV, Netflix, Ps4 Pro with PlayStation VR all to accommodate the customers needs. 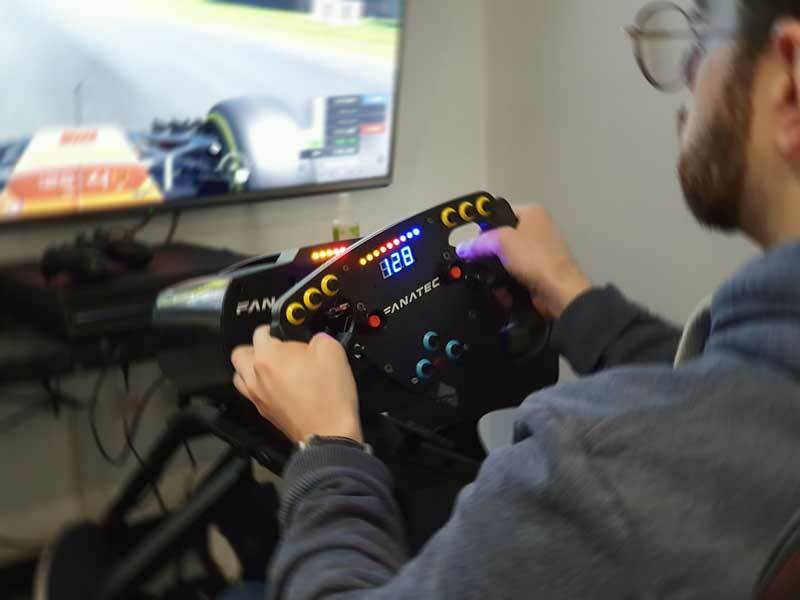 Our customers often watch movies, TV shows and play Gran turismo Sport in Virtual reality all while watching over the workshop as we work on there pride and joy. They have access free of charge to beers, wine, soft drinks like Pepsi, Dr Pepper, sweats, chocolate and crisps. This brief was very important to us as a large percentage of our customers come from literally all over the country and very often other countries. We regularly have customers from Cornwall, Wales, Birmingham, Manchester, Leeds, Scotland and even Denmark, Monaco and Switzerland just to name a few so making it comfortable was key.